Please see the story of Lexi Sky to understand why I have chosen to dedicate my book to her. If you have found useful recipes on this blog or would like to make an additional donation please click here. More recipes and foodie ideas coming soon! 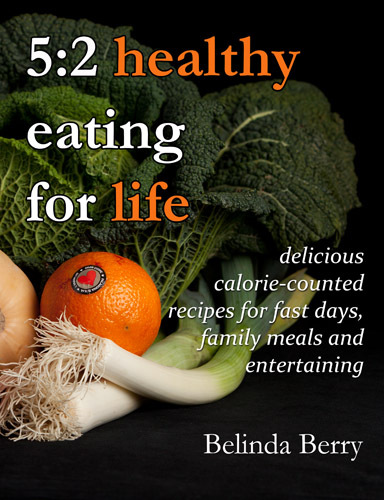 You can now order 5:2 Healthy Eating for Life in print from Amazon. Just in time for Christmas! I am hoping that it will soon be showing up in the other international stores too. WISHING YOU A HAPPY HEALTHY CHRISTMAS !!!!! Woohoo! New 5:2 Recipe book launched today on kindle! 5:2 Healthy Eating for Life is now available on kindle! All sales include a donation to the support fund for my dear friend’s granddaughter, Lexi Sky Rowland Tickner, a life-limited baby with cerebral palsy, muscular dystrophy and epilepsy. Please note: This is at a special introductory price – fantastic value for 170 recipes. The print edition will also be available soon. This book has so many yummy recipes, you will probably have the need to go walking with your kids in the BabyTrend Expedition-Jogger stroller everyday, just to do some exercise. 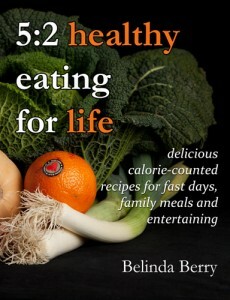 5:2 healthy eating for life – Available soon! It’s nearly ready – I’m just waiting for my proof copy to arrive, then it will be published and available to buy from Amazon (print and kindle versions). Belinda Berry’s love of fresh, seasonal foods shines through in this book of delicious calorie-counted recipes for Fast Days, Family Meals and Entertaining. Whether you are following the 5:2 Intermittent Fasting way of eating or simply looking for inspiration for light and healthy meals, these flavourful and easy to prepare recipes will fill your plate with food that tastes as good as it looks. Fully illustrated with over 200 full colour photographs, there are 170 recipes for Dips and Appetizers, Soups, Salads, Light Meals, Main Meals, Breads, Desserts and Drinks. Many of the recipes are designed to be prepared for one person, but are easily scaleable. There is no need to feel deprived when you can eat such delicious food as this – even small portions will leave you feeling satisfied. The recipes cater for vegetarians as well as meat and fish eaters and tend to be low in sugar and carbohydrates, with an emphasis on the use of unrefined foods. Throughout, the emphasis is on simple but tasty meals, using herbs and spices to bring basic ingredients to life and to create vibrant dishes. 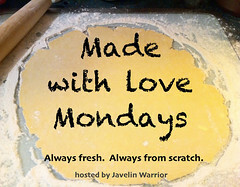 Be inspired with new ideas using fresh ingredients and modern styles as well lower-calorie versions of old favorites. As a home cook with experience of catering to guests who come from all over the world to learn photography with her husband Graham Berry, Belinda covers many different cuisines and techniques, exploring the flavors of the Mediterranean, the Middle East, Asia, the Caribbean and Mexico as well as classic European combinations. Using these recipes you can eat well every day of the week and Belinda has delighted in rising to the challenge of creating wonderful 3 course meals for less than 500 or 600 calories. Each of the recipes have the ingredients individually calorie counted and give the Nutritional breakdown of Carbs, Fats and Proteins. Since Belinda and Graham started 5:2 Intermittent Fasting, they have lost 35 kilos (77 pounds or 5 and a half stone) between them, both reaching a healthy Body Mass Index. They have been maintaining a healthy weight since June 2013. Every book sold will help to raise funds for Lexi Sky Rowland Tickner, a life-limited baby with cerebral palsy, muscular dystrophy and epilepsy.